Saying goodbye temporarily to a seasonal property is a yearly routine for those who own a vacation home. However, as the weather changes and the temperatures start to fall, it is necessary to know what to do to effectively winterize lake homes, as failing to do so can lead to significant damages to your property and belongings. Some of the preparations needed for closing a lake house might require a professional’s expertise, like checking the plumbing and fixing the roof, but there are plenty of steps you can take to make sure that your vacation home will stay in optimal condition for as long as you’re away. In this article, our team at O’Mara Moving and Storage will share some of our most useful tips for property owners to follow during this early-fall routine. Ensure that the water supply of your property is completely turned off at the main supply. This is important because the water in your pipes may freeze if the furnace fails during cold days. When this happens, there is a possibility that the pipes will burst. If you live in an area where it is common for pipes to freeze and burst, it is recommended to drain your toilets, your water heater, and the expansion tank. Before leaving your vacation home, adjust your thermostat in such a level that will maintain the temperature inside above freezing. If your property is situated somewhere damp and warm, you should install a humidity indicator that will ensure that the interior will stay dry. Some new HVAC systems have smart features that allow homeowners to adjust their thermostat from an app on their phones, from anywhere in the world. Some can also send alerts should there be a problem that needs attention, like burst pipes, dirty filters, or broken vents. If you’re planning on replacing the HVAC system sometime soon, it might be worth looking into this feature to keep tight control over the temperature inside your vacation home, even when you’re not there. Unplug all your electric appliances, especially if you will leave the electricity on. This will ensure that your property will have a lower risk of catching fire due to faulty switch or wires. All your dry foods must be stored in a tin or aluminum cupboards and cabinets. Grains and seeds, on the other hand, must be placed inside metal containers with tight covers. To keep rodents and insects away, wash your trash bins and remove possible sources of food such as sponges and candles. It is also recommended to use repellents and put them under the tables, sink, garage, and kitchen counters to eliminate these unwanted guests. Throw out all the trash before you leave. You must also take away all items that may freeze such as bottled liquids, paint, and other similar items because their containers may burst when the contents freeze. Lock your home at all entry points and secure all your vehicles, outdoor furniture, and other valuables. You can also avail the storage services if necessary. If you have valuables or temperature sensitive items that you’d like to protect while you’re away from your vacation home, finding a reliable storage company that can keep them safe will give you peace-of-mind. When choosing a storage facility, look for a strong online rating from former customers, state-of-the-art storage areas like temperature-controlled units, and an A+ rating with the BBB for the best outcome. Our last tip is to create a checklist of all the things that need to be done so you won’t forget anything. Plus, it can also help you remember the things that have to be “undone” when it’s time to open up the house once again. 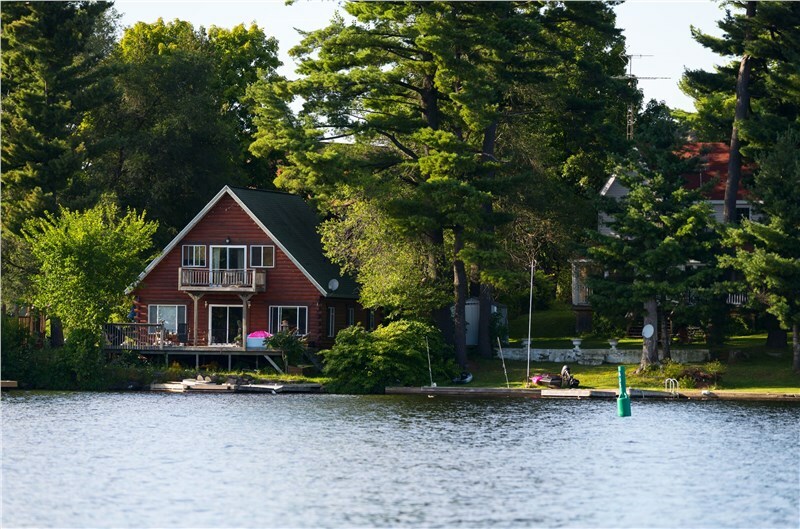 Closing a lake house can be challenging and a bit scary for those that aren’t sure what they can do to keep their homes safe. Following the above steps can help you winterize lake homes in time for the season, so that you can feel confident that you’ve done everything you can to prepare your house for the time you’re away.